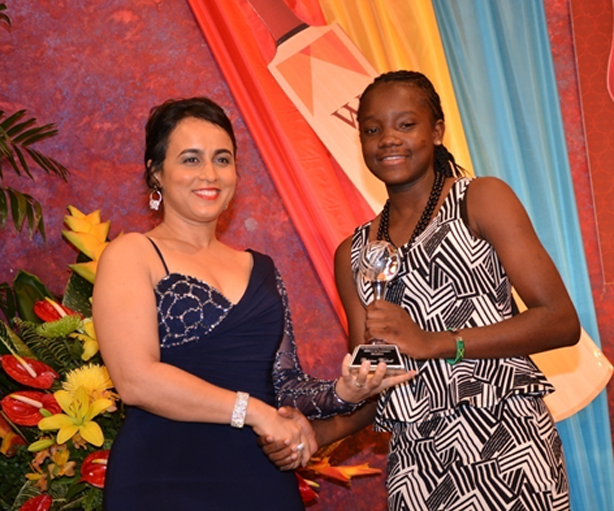 Patrina Walcott was selected as the WIC Cricketer of the Year in 2014 after displaying exceptional skills. 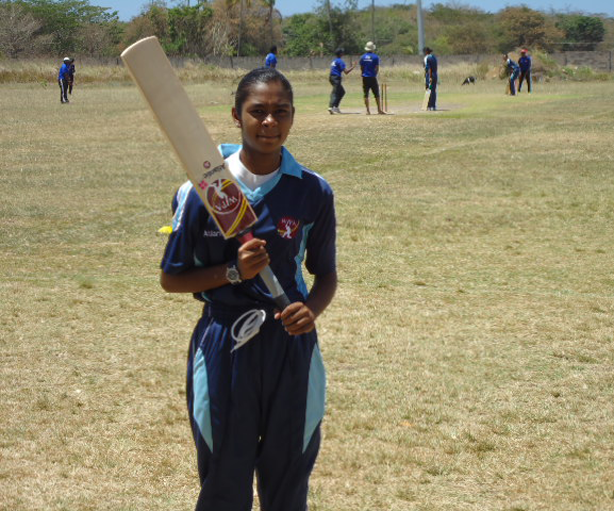 Patrina was also able to impress the national selectors and was selected on the Trinidad and Tobago female cricket team. Patrina continues to demonstrate exceptional ability and has a bright future ahead of her. Ronnie Goddard participated in the Atlantic sponsored Primary Schools’ Cricket League. Although he was not an immediate stand out, being a natural athlete, he was gradually able to transfer his athletic ability to the cricket field when the Atlantic/WIPA in the Community programme was introduced to schools in his zone. 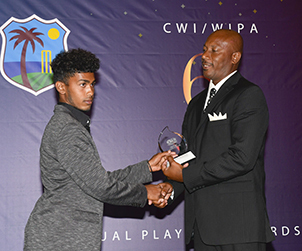 This development Ronnie credits to the commitment and input of the coaches of the Atlantic/WIPA in the Community programme which include, but are not limited to, Mr. Claudius Richards, Mr. Leslie Pascall and Ms. Tamika Nanan. Ronnie soon dominated the Primary School Cedros Zone and eventually made his way into the St. Patrick District Team at the Under 13 Inter School League level. Under WIPA coaches Mr. Stefon Sahibram and Mr. Edward Narine, he was challenged to train harder and become the best that he could at the Secondary School and Zonal levels. Ronnie went on to represent and captain the South West Zone in the BGTT Inter Zone Tournament at the Under 13 and Under 15 age groups in 2011, 2012 and 2013. He was also named captain of the Vessigny Secondary School in the Under 14 and Under 16 age groups. 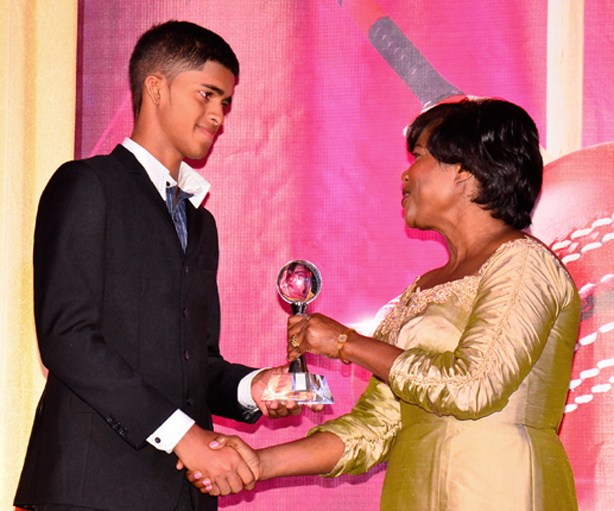 In 2013, Ronnie had a very successful season with the bat as well as the ball and was able to capture the eyes of the roving national selectors who invited him to train with the National Under15 Squad which was preparing to go to Jamaica for the Regional Series. Ronnie was eventually named as a reserve in that team but was not able to travel to Jamaica due to personal reasons. Putting behind that disappointment Ronnie captained his School’s Under 16 and Seniors Team where they finished 2nd in the South West Division, narrowly missing promotion to the Championship Division of the SSCL. Ronnie’s exploits led to him being invited to play with the perennial powerhouses of the TTCB’s South West Division One Teams- Progressive and P.F. Civic Centre at the Senior levels in 2014 and 2015. During this time he was also a key member of the Premiership Division Club-POWERGEN where he plies his trade in the Under 17 and Under 19 Divisions. He was invited by the national selectors to the Vasha Foods North vs South Under 17 match at the National Cricket Centre that would have led to the picking of the Trinidad & Tobago Under 17 team for the Regional Tournament, however he was unable to participate because he had two CXC examinations on that day. 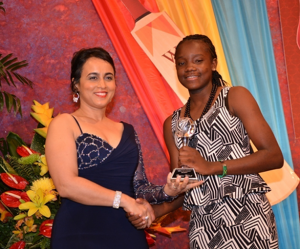 Keshelle James was selected as the WIC Cricketer of the Year in 2016 following her exemplary performances both for her school and for the WIC girls elite team. 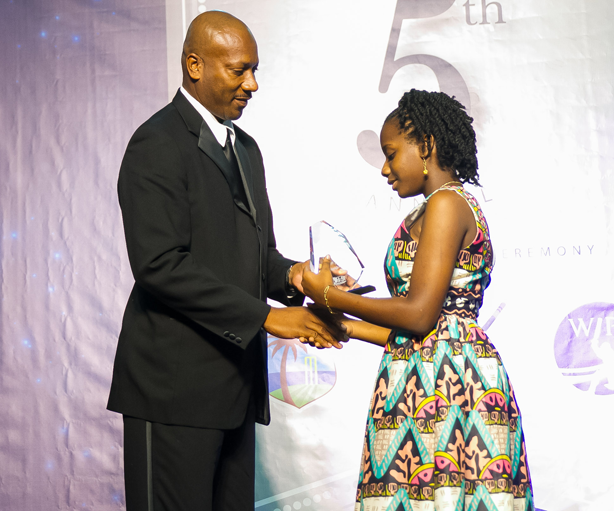 Keshelle was able to help her school, Cedros Government Secondary School, to capture the national Secondary School’s Girls Cricket Competition for the third time in a row. Keshelle continued to show her skills with both bat and ball and captured the woman of the match award and made the highest score against a Tobago select eleven team during the WIC tour of Tobago. Keshelle continues to work hard on her game and has a bright future ahead of her. Kameah has demonstrated an excellent combination of academic intelligence and athletic and cricketing skill. Kameah is an ‘A’ student and excels in sports and extra-curricular activities. She has represented her school in the cricket ball throw for the past two years at the Point Fortin Zonal Games and was champion for both years. Kameah also excelled in the field of draught and was part of the team that represented the school at the 5th Point Fortin Primary Schools Draught Masters Tournament and received a trophy for the Most Outstanding Girl in the Competition. Kameah has a great love for cricket and has been part of the school WIC coaching sessions since she was in Standard One. She has been a regular to all of the WIC camps during school vacation and continues to excel in the sport. She has represented the School’s Girls team for three years and has been the captain for two. In 2017, she led her team with bat and ball to regain the Point Fortin Zonal Girls title, as well as to the St. Patrick District Finals. Kameah’s batting average was an incredible 94.0 with a highest score of 104 not out against Icacos Government Primary School. She also picked up four wickets bowling her right arm medium pace. According to her school’s coach Mr. Imran Mohammed, Kameah’s passion for the game, knowledge, leadership and cricketing skills makes her a future player for the West Indies Women’s team and her future looks very promising. Rodney is a student at the Point Fortin East Secondary School and was selected to captain the Point Fortin East Secondary Cricket Team. He led from the front with the ball, taking the most wickets for his school in the school’s cricket tournament and also contributed with the bat averaging in the mid-thirties in the tournament. Rodney’s performances for his school caught the eyes of the Point Fortin Civic Centre Cricket Team in the South West Cricket Competition and coach of the Point Fortin Civic Centre, Claudius Richards, was eager to get Rodney on his team. Rodney once again proved his ability among the more experienced and mature players in the South West Cricket Competition contributing with both bat and ball. Coach of Point Fortin Civic Centre, Claudius Richards, describes Rodney as a hardworking, talented young player with a very bright future.